Feeding your pet turtle can be a bit of a challenge with questions like; How much do I feed my turtle? What does my turtle eat? Where can I buy turtle food? These questions are all very valid and we hope our advice helps. So how much do you feed your turtle? 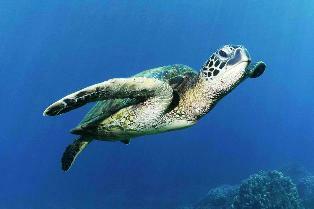 Well the answer varies from turtle species to turtle species. They all eat something different or prefer things. We will just generalize for the sake of this article. If you are not feeding live things and are feeding things such as sticks or pellets a general rule of thumb from experienced owners would be to only give as much as they can eat in 15-20 minutes. Once finished eating it is advisable to remove all the excess. This will keep from overfeeding and will also help to keep the environment a bit cleaner. What do I feed my pet turtle? We have several different types of food available at the ALLTURTLESTORE from sticks, flakes, to pellets. All of these are good options. In addition to using these for daily feeding if your species is Omnivorous we advise occasionally adding in feeder fish and/or night crawlers. This will give them a variety and may help them with exercise in having to chase the food. Where can I buy turtle food? 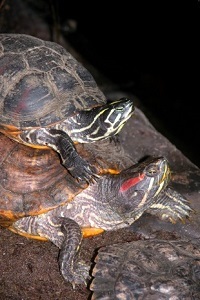 Turtle food is available at most pet stores as it is quite common. The larger stores will have live fish, crickets, grubs, etc. Buying in bulk is possible, although would be most advisable doing from a specialized store or also searching online. Please feel free to check out the ALLTURTLESTORE which has a variety of items available.